Hello from Colorado Right To Life! If you're a delegate at a Colorado County Assembly tomorrow, please feel free to print out a few dozen copies (for a better formatted copy click here) of the following and bring it to your county assembly. Please support the Personhood Amendment #62! 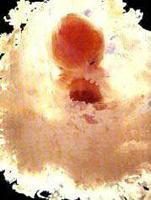 The most fundamental right recognized by our Constitution is the God-given right to life. It is government’s foremost duty to uphold the right to life of all innocent human beings, without exception. The Personhood Amendment – Amendment 62 on your November ballot –recognizes the right to life of unborn children from the beginning of their biological development as a human being. Forty states currently are following Colorado's leadership and trying, through legislation or ballot initiatives, to get Personhood recognized for the unborn child. This has transformed the pro-life movement and given it new energy! For the first time in recent history, there is light at the end of the tunnel, and we may see abortion prohibited in the relatively near future. Unfortunately, many politicians, including Republicans, and even some pro-life groups fear losing control of the agenda. They are trying to smother the Personhood movement in its crib. You may see an Eagle Forum flyer here today, spreading misleading statements. They mean to discourage pro-lifers by pointing out that our 2008 measure only received 27% support – the first time any state has ever voted on Personhood. They say we should not try again. What successful social movement has ever given up after its first try? What if the anti-slavery movement had quit at their first setback? What if Britain had surrendered to Hitler because victory seemed impossible? It's not leadership to say, “We tried once and failed, so we should stop.” In 2008 conventional wisdom held that only one out of eight people would vote for a total abortion ban. Yet in our first time on the ballot we received over 600,000 votes, more than doubling what was expected, in a state that had just elected a pro-abortion governor and president. With a well-run campaign, in this non-presidential election year, where just some Personhood voters bring another voter to the polls, we could win. Of slavery, the Holocaust, and abortion, we're now at two down and one to go! The anti-personhood flyer claims pro-abortion groups are “enriched” by getting to fight the Personhood amendments in several states. The ACLU and Planned Parenthood don't see it that way. They're suing to keep Personhood amendments off the ballot in Missouri, Alaska, and Nevada, and they've announced that they might sue here in Colorado. (We're ready for them if they do.) And Mississippi has already certified their state's Personhood Amendment to be on the ballot, and signatures are being collected by the hundreds of thousands in Florida and California and elsewhere. Further, the pro-abortion group NARAL put Personhood USA, parent group of one of our sponsors, on their national Hall of Shame! What an honor! They fear what we can see: that Personhood has ignited a broad base of grassroots activity with more being done to stop abortion than any time in the last twenty years! The “pro-life” opponents of Personhood claim “it’s not the right time,” but it’s never the wrong time to do the right thing. They say they want to back Personhood “eventually,” but the US Supreme Court is not yet “ready” to support a pro-life measure. This admission comes after decades of their efforts to change the court, which admission is proof from their own mouths that their strategy is utterly failing. Republicans have nominated the majority of the federal judiciary, and the federal courts are overwhelmingly pro-abortion, so we need a new, direct strategy of teaching the public and our politicians the difference between right and wrong. After decades of electing pro-life presidents, there is not a single Justice on the U.S. Supreme Court who has ever once advocated the right to life of the unborn child. So National Right To Life has never been able to claim the $10,000 offered them for simply naming a single pro-life Supreme Court Justice. That check is already written and remains un-cashed in the office of the Colorado-based American Right To Life. Eagle Forum points to a memo by National Right To Life attorney James Bopp, which claims they fear a challenge to Roe v. Wade now might “make things worse.” Fear never won a fight. Fifty million dead children and they are afraid to pursue victory because things might get worse? That's like giving in to terrorists because we don't want to make them mad. Tragically, National Right To Life's general counsel tried to compromise the Republican Party platform by modifying it to support embryonic stem cell research, which is lethal experiments, on the tiniest children, little boys and girls just like the snowflake children, the adopted frozen embryos who themselves are the proof that these are precious little children. Thank God that National Right To Life's attorney failed. That failed strategy, the old pro-life approach, of electing politicians who are pro-life, who will appoint judges who are pro-life has failed because we didn’t have “quality control” and all our candidates, without opposition from NRTL, openly admitted that they would ignore abortion when nominating judges. And the proof is in the pudding, along with the poison, of scores of pro-abortion judges that we have unwittingly put on the bench. We need to teach our politicians that there is an actual right to life (i.e. Personhood)! We need to insist that they appoint judges who acknowledge the God-given right to life of each child. Where we stand right now, we don’t need “one more pro-life justice” – we need five! That old strategy has proved an utter failure. What’s more, we’ve been teaching the American public the wrong lessons. When we say “the unborn child has a right to life!” and then turn around and promote laws to protect some babies, but not others, the American people rightly detect hypocrisy! Footnote 54 of Roe v. Wade ruling (which tragically was written by a Republican Justice, Harry Blackman, and passed by a Republican majority) points out this very thing – that you cannot say the unborn child is a Person, and then say there are some circumstances when that innocent Person can be killed. That hypocrisy was cited as the reason why abortion was decriminalized– because existing "pro-life" laws actually didn’t recognize unborn children as Persons. But the Roe v. Wade decision itself also said that if a law were passed to recognize the Personhood of the unborn child, then the Supreme Court would have to protect unborn children under the Equal Protection Clause of the 14th Amendment! Personhood is a legal strategy, aimed at that "loophole" in Roe. But more than that, Personhood is a social movement, trying for the first time in 30 years to convince the American public that there exists an actual, God-given right to life for innocent children – no exceptions! Imagine the outcry if a massive body of citizens cried out to stop the slaughter, and the courts or politicians stood by and did nothing! They cannot. Personhood will force the politicians and the courts to change – if we insist our politicians support Personhood, then eventually the courts will follow. Some defeated folks claim we have no power to change things, and we must accept the world as it is. They have no hope for victory, and they want you to abandon hope also. Their reasoning is all based on political calculation and conventional wisdom. But they forget that Christian social movements changed the world by relying on God’s wisdom! Remember the anti-slavery movement! Remember the civil rights movement! These were not secular in nature – these movements were Christian at their core! They dared to believe God would help them, and they changed the world! That’s the promise of Personhood. In 2008 Colorado launched this strategy, and in 2010 there are 40 states following the example of our first “failure!” We’ve just now set out! So please support the pro-life Personhood Amendment 62 resolution! We must press forward and not look back! Press forward with us! Personhood for the unborn child – NOW! !